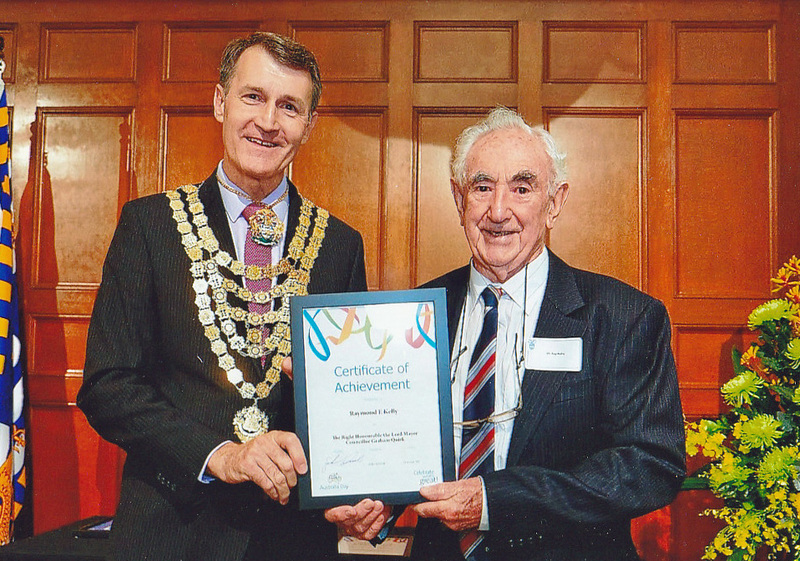 Australia Day this year, saw Ray (pictured with Lord Mayor Graham Quirk) recognised with an Australia Day achievement award from the Brisbane City Council. For over 25 years, Ray has tirelessly volunteered to record and promote awareness of the state of West Brisbane’s waterways. He’s reported to government bodies and held public presentations as well as mentoring other members of catchment groups in assessing water quality. Ray is a very busy man but we caught up with him to ask him a few questions about his passion. In his working career, Ray worked hard in land and catchment management in central Queensland. His area of expertise was in compiling the results of tests on local creeks and rivers into reports for company and industrial bodies. After retiring, Ray kept his passion alive with WaterWatch, a program that started up in the early 90s to protect local waterways across the country. Using his expertise, he was involved in designing the program for the local catchments of Western Brisbane. For the next 25 years, Ray collected data on Cubberla and Witton Creeks, analysing the results and providing reports to the relevant government bodies. For many people, a passion like this might be enough to fill the days but Ray is also a keen orienteer. He loves the sport, saying it combines thought, map reading and physical ability. Ray has competed across Australia and also in Europe, finding his way through the countryside with little more than a map and a compass. He’s also really good at it; Ray currently holds the Men’s 85 Australian Sprint Championship and the Queensland Championships in Bush and Sprint events. His love for adventure extends to his palate as well. As a member of the Probus club of Brisbane West, Ray regularly joins the Bushwhackers (a subgroup within the club) for culinary delights such as rabbit, crocodile or even camel! Photography is also one of Ray’s passions. While he doesn’t get to take as many photos as he used to, he enjoys helping the Probus club with their photos for records and newsletters. We’re happy to have such a vibrant member in our community as well, and can’t wait to catch up with him at an activity soon.